Students are responsible for securing their own housing and transportation for the summer program. Options for both are listed below, but are not comprehensive. Please note, students awarded Boren-SAFLI funding are required to live in university housing. Please visit the SAFLI website for more information. Students admitted to SASLI are responsible for making their own living arrangements for the duration of the summer session. Please make sure that your class is confirmed before signing housing contracts or leases. Students can get in touch with one another or try to find roommates via the SASLI Facebook page. There will be limited University dorm summer housing available at Kronshage Residence Hall for summer 2018. University Housing applications are taken on a first-come first-serve basis, although any students who have a housing contract for the year are given priority. The applications will be available at the University Housing website listed below. All applications are filed by the date they were received, so if you want to be sure to have a place it’s best to apply as soon as you can. You don’t need to wait until you have your student ID in order to fill out the application. When filling out the application, please include the language you intend to study and Housing staff will try to room people taking the same languages near each other. If you have any questions that are not addressed on the University Housing website, you can contact Tracy Spraetz at (608) 262-0554. More detailed information can be found on the UW Housing website. Check out this PDF with a overview of summer housing UW Housing Summer 2018. Summer sublets typically are easy to come by in Madison, many students leave for the summer and sublet their apartments or their rooms in private residence halls. Madison has a vibrant co-op community. If you are interested in learning more about summer opportunities, please visit http://madisoncommunity.coop/ (opens in a new tab) for the most updated information. The Dane County Airport is the closest airport to SASLI at UW-Madison (approximately 20 minutes by taxi). 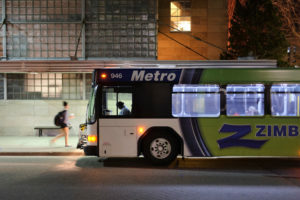 Previous students have also flown to the Milwaukee airport and taken the Badger Bus or to Chicago O’Hare or Chicago Midway airports and taken the Van Galder bus to campus. Parking is limited on and around the UW-Madison campus and it is not recommended to plan to park on campus for classes. For information about very limited parking passes, please visit the UW-Madison Transportation Services website.